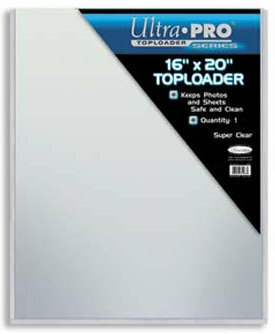 Ultra Pro Toploaders keep 16X20 Photos and Sheets Safe and Clean, Super Clear. Great way to protect your 16X20 photo collection. This is for a Pack of 5 of these.